"Gas boiler installations, servicing and repair"
If you need a new or replacement gas boiler our team of fully qualified Gas Safe heating engineers can install a brand new gas boiler in your home. With a team of highly-skilled and qualified plumbers and gas heating engineers we can tackle any job, from installing a brand new gas boiler, to annual servicing and one-off repairs. We recommend you replace your gas boiler at least every 10 years. Boilers older than this generally only convert 60% of the fuel they use into heat, which wastes a lot of valuable energy. This has a big impact on your home heating bills and is detrimental to the environment. We specialise in Worcester boilers, the only manufacturer to be awarded Which? Best Buy six years in a row and now also have the accolade of royal warrant to the Queen. 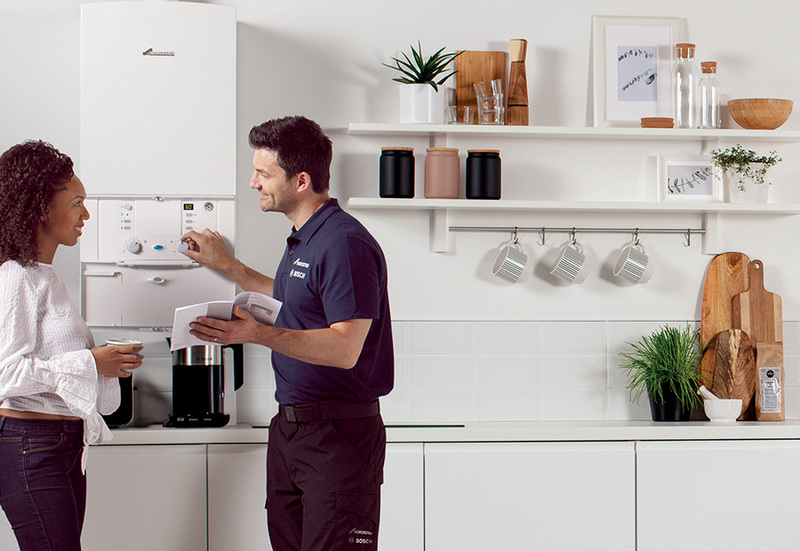 Worcester boilers are designed with quality and efficiency in mind to help keep your heating bills low. We are proud to be Diamond level accredited Worcester Bosch installers. Current building regulations state that any replacement or new gas-fired boiler must be a condensing boiler. Worcester condensing boilers utilise the latest technology to improve efficiency and could save you up to 30% per year on your home heating bills. This represents a big saving over the lifetime of your boiler.